Summer vacation is your chance to get away and reset your stress levels, but it’s also nice to have some fo the comforts of home when you’re away. Intrinsic Vicissitude is proud to partner with Chilewich to bring you these easy tips for adding some special touches that turn your summer vacation digs into a home away from home. 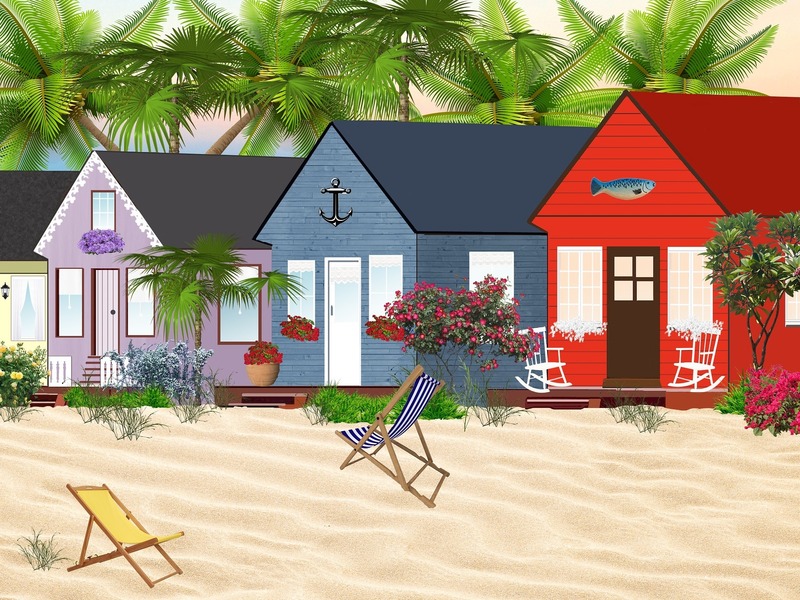 This summer when you are vacationing at your beach house, timeshare or lake cabin, consider a few decor upgrades to enhance the beauty of your surroundings and add a warm touch. Here are a few of our favorite picks for turning your summer house into a home the whole family will feel comfortable and relaxed in. If you need a set of placemats that are simultaneously stylish and spill-proof, look no further. These indoor/outdoor placemats are constructed from a durable blend of bamboo and vinyl that give them a natural yet sturdy feel. These placemats are must-have for young kids. Use code BCJUNEGIFT to get a free set of six 100% linen ivory napkins with any purchase in June. For nights when hanging out on the beach gets a bit chilly, this nautical-inspired throw keeps everyone warm. Its 50”x60” dimensions make it a good size to take with you on your adventures or to keep at home on the couch. Grab one in red and navy to keep the whole family comfy all summer. After a long day at the beach, your little seashell collectors will want to show off their finds. Instead of keeping them in a bucket all summer, this shadow box puts them on display for everyone to enjoy. This is sure to be a special piece that the whole family will remember for summers to come.